A welcoming, family run, licensed, vegetarian cafe bar, offering a delicious selection of Breakfasts, Lunches and Snacks. We can provide a range of savoury and sweet private catering, including full buffets, platters of light nibbles and sandwich lunches. At Compassion Cakes in East Kent we can make a vast range of cakes and desserts, from cute cakepops and cupcakes, to elegant wedding cakes and novelty birthday cakes. If you just want a childhood favourite or something you haven't had since becoming vegan, such as bakewell tart, cheesecake, battenburg or sticky ginger loaf just get in touch! We are an independent café located in the seaside town of Herne Bay born from a love of delicious, healthy, good quality food and a strong belief in value for money. We change our menu frequently and seasonally, keeping our food fresh and interesting. We offer outside catering for events both big and small. From formal dinner parties to wedding barbeques and buffets we aim to accommodate whatever you desire for your special day. The Fat Carrot is an ethical, compassionate food company, which produces high quality vegetarian and vegan food. We specialise in function catering, supper events and farmers' markets. Tapas - Create a custom meal! The concept behind Wolf and Guzzle was to serve a menu we would be proud of, full of foods that we wanted to eat. What we developed was a delicious selection of tasty food served tapas style giving flexibility, perfect for a snack or meal at any time of the day. Our fully vegetarian menu is customisable; whether it’s a ‘box’ of crispy patatas bravas and fresh salsa or a ‘plate’ of delicious veggie chilli, spicy tomato rice, mediterranean vegetables and salsa, our customers have the freedom to design their own filling meal. We also give you the option of designing your own menu so we can work with you to find something that suits your taste and budget. We pride ourselves on being environmentally responsible, with locally sourced ingredients and eco friendly packaging. We truly love and believe in what we do, and want you to be able to trust us to consistently provide excellent service and fair value. The Hooty Bakery was started as a true ethical, plant based & ‘free from’ bakery. 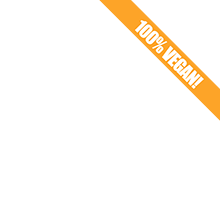 All of our products are freshly baked to order in a 100% vegan kitchen. The Hooty Bakery operates a ‘order and collect’ service and can deliver in and around the Rochester area for a small additional charge. Our delicious plant based and ‘free from’ cakes, cheesecakes and treats are packaged to the highest standard using ethically sourced packaging which ensure they reach customers in the best condition. We use Royal Mail for UK deliveries. For bespoke orders including wedding and speciality cakes, treats and bakes hand delivery is available where possible.